A new build three-storey teaching superblock with single-storey double height sports block and refurbishment of an existing school building. Works also included the demolition of three buildings. Working in and around the live site required close liaison with the school to ensure the safety and security of pupils and staff at all times. 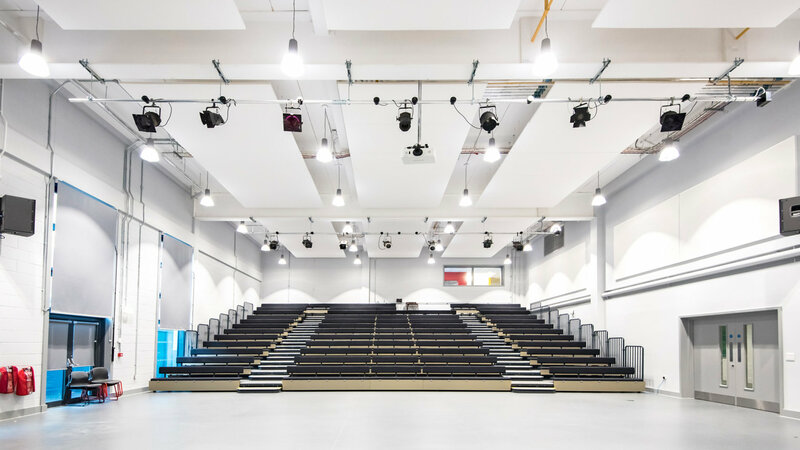 Through seamless phasing and fully segregated construction zones, great care was taken to minimise the construction impact on the school’s operations.